Provided with stainless steel flip top ashtray permanently attached to cabinet. 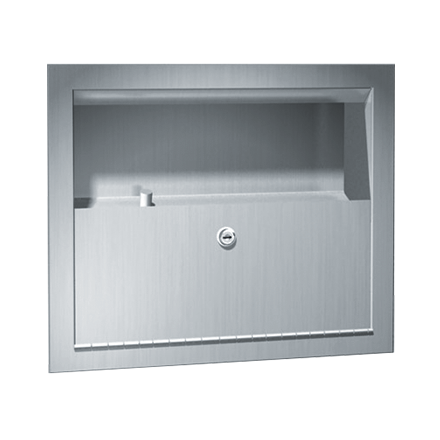 Receptacle is fabricated of stainless steel and is removable. Ideal for lobby or corridor use.